The Bulls are coming back on a high note. Even with the assistance of 11 walks, the Bulls did have 12 hits (3 doubles and 2 homers) to go with the walks in last night’s blow out. Note also that Richard De Los Santos has quietly slipped into place as the Bulls #2 starting pitcher. This has been a very nice run. 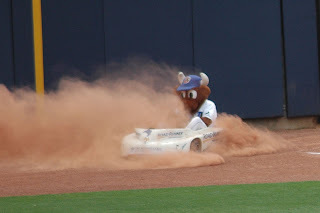 On the road the Bulls were 6-2 against what had been the top two teams in the International League’s North Division (Scranton/Wilkes-Barre is now third, partially thanks to the Bulls). At 10 games above .500, we have the best record in the league and are 7½ games ahead of our nearest competitor in the South Division, Gwinnett. Tonight we go up against the Buffalo Bisons, the Mets farm team for our 17th straight game against North Division opponents. The Bisons just took three of four from the Norfolk Tides and are on a run. The Bisons had an afternoon game in Norfolk yesterday, so they were in Durham reveling in the sights and sounds of Bull city before the first pitch in the Bulls/Chiefs game in Syracuse last night. 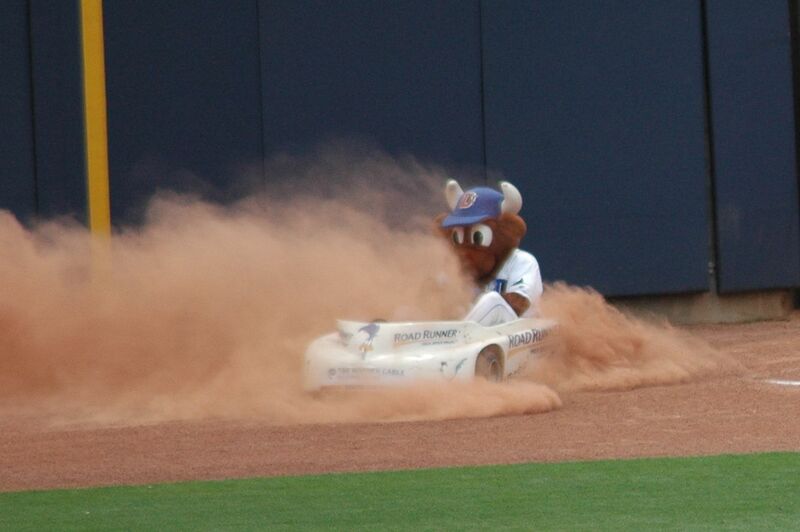 The Bulls have the best team ERA in the International League (3.27). And here’s a quirky one: The Bulls are 12th in team batting average (.279), but lead the league in OPS (.802). Neil Solondz is calling the game for the Rays down in St. Pete tonight. I didn’t catch who will be calling the game here in Durham. Wonder if this is a tryout for Neil? Carlos Hernandez is in line to start tonight. He’s coming off a win against Scranton/Wilkes-Barre last Thursday. Tonight is also our first 2010 look at Matt Joyce and our first look at J. J. Furmaniak in a Bulls uniform. Serious baseball geeks are watching the draft. Check out links to Rays Prospects, Rays Index, and DRaysBay in the sidebar if you want to follow — particularly Rays Prospects. I had a feeling Neil Solondz would get called up at some point he does a great job. I agree. I've listened to a couple of other Triple-A broadcasters and Neil's much better than any that I've heard.